Not to be confused with Waaxens. 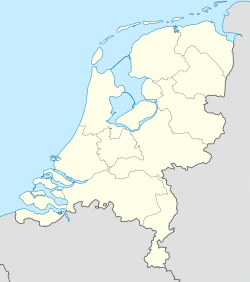 Waaksens (Dutch: Waaxens) is a village in Súdwest-Fryslân in the province of Friesland, the Netherlands. It had a population of around 83 in January 2017. Before 2018, the village was part of the Littenseradiel municipality and before 1984 it belonged to Hennaarderadeel municipality. This page was last edited on 6 February 2019, at 00:55 (UTC).